Throughout this past decade, Barça have entertained us and disappointed us. Along with the highs, there have been lows that have frustrated the fan base. One of my major complaints about this team, dating from Guardiola to last season, was their lack of being ruthless. However, under Valverde, it appears that this team has figured out how to be ruthless at the perfect time. Besides the treble season under Luis Enrique, Barça had this tendency to let up instead of be ruthless. Time and time again, we would witness Real Madrid go through a crisis while their manager is on the hot seat. A victory over their bitter rival would have sent the Blancos into turmoil. 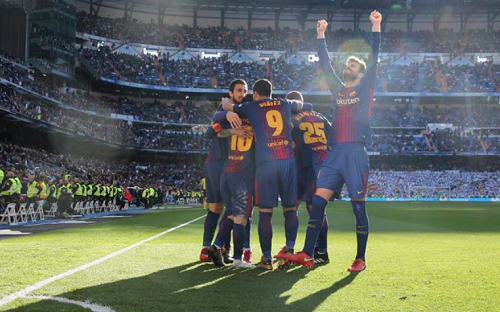 However, instead of going for the kill, Barça would allow Real Madrid to escape their clutches and grab a victory in El Clasico that would give them some momentum and avert disaster. This year however, Barça finally discovered how to be cold blooded. Real Madrid had already fired one manager, Lopetegui, after Barça defeated them 5-1 at the Camp Nou back in October. Under Solari, Real Madrid were facing Barça in three matches while trying to clinch a spot in the Champions League Quarter-Finals, a spot in the Copa del Rey Final, and try to stave off elimination from the league chase. The final two matches were going to be played in Madrid’s stadium and any positive result was going to inspire them onwards. Fortunately, Barça managed not to lose all three games while also subjecting Real Madrid to suffer back to back defeats to their arch enemy in front of their own fans. The consequences of these results saw Real Madrid then crash out of the Champions League following a 4-1 crushing defeat at home to Ajax Amsterdam. As a result, Solari was fired and Zidane was brought back. However, the damage was done. Madrid’s season ended in March and they had nothing left to play for. Barça finally showed that they knew how to go for the kill and proved it a few weeks ago when Barça also defeated Atletico Madrid to increase their lead atop of the league standings while Atletico’s league aspirations suffered a terrible blow. A loss would have reduced Barça’s league lead to just five points between them. Instead, it’s now an 11-point cushion and it would take a total collapse for the Blaugrana to not win the league title. Barça’s momentum carried on outside of Spain when they defeated Manchester United for the first time at Old Trafford in the first leg of their Champions League Quarter-Finals. The quest for the treble still is alive and Barça need to remain sharp and focused as the season comes to an end. Hopefully they can continue to be ruthless and continue to go for the kill. This is their moment and they must seize it and never relinquish it, and they can only do that if they continue to remain ruthless. Previous PostBarça defeat Manchester United 1-0 in first leg of Champions League Quarter-Finals. Next PostBarça play Huesca to a 0-0 draw without starters.